Don’t let them get discouraged! Learning Ally offers more than 80,000 human narrated audiobooks through an easy-to-use online platform. 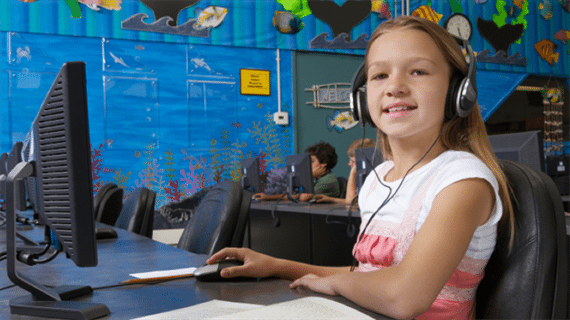 Audiobooks are proven to help students with reading disabilities become better readers and learners. Find out more about how Learning Ally helps students with reading disabilities achieve academic success. “Before I knew I was dyslexic, I thought I was stupid,” said the boy who graduated high school with honors and is headed to Yale in the fall. The truth is, many kids who struggle with reading initially believe they’re stupid. Living with a reading disability that hasn’t been identified can be scary and discouraging. In fact, it’s not uncommon for struggling readers to be exceptionally bright kids—they just learn differently. When we as teachers can uncover strategies that really work for these atypical learners, like using audiobooks and teaching with visual images, big things can happen. Think of an activity that does not come at all easily to you—an activity you can honestly say you have never looked forward to in your life. Maybe it’s skiing or sewing or house painting that you dislike. Now, imagine part of every single workday must now be completely devoted to your most challenging activity and, even worse, you are expected to love it! That is what reading time is like for your struggling readers. Some of your struggling readers might really benefit from having a personal-shopper experience at the library. Make an occasional appointment with each student to go to the library for one-on-one shopping for books and/or audiobooks. They will love it! When students read or listen to just-right books, it’s a first step toward building a positive relationship with reading. Novels can be intimidating for struggling readers. 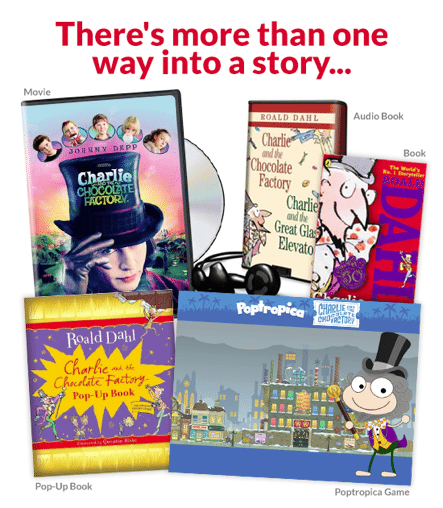 Reduce the anxiety by teaching the same novel using multiple media (a graphic novel, audiobook, movie or drama script). For example, listen to the first chapter on audio, then read the next chapter, then watch a section of the film. Talk about this process as a class. How did the experience of reading the story change with each medium? Unfamiliar words, academic vocabulary and understanding key concepts can add another layer of difficulty for your already struggling readers. Anticipate this by pre-teaching words that will be new and activating background knowledge on key concepts. You can use a book analysis, like this analysis of The Lightning Thief for more pre-teaching ideas. Consider replacing some or even all of your whole-class novel units with free-choice reading. Instead of telling students what they will be reading, you ask them: “What book will you be reading next?” Reading autonomy is a great motivator. With this model, you work with each student in an individual conference to set goals for the number of books to be read, new genres to try, and how he or she will demonstrate understanding. Students can recommend books to their peers with a suggestion board and short book talks. For reluctant readers, you may want to have a Great Start list ready to go like this one. Let’s face it: most book clubs are not appealing to students who struggle with reading. For them, reading is tedious, time-consuming and sometimes a physical struggle. Consider creating a book club just for your struggling readers—a safe space in which everyone struggles, and that’s OK. Allow the students to read in whatever way works best for them and assess the group through discussion and oral presentation. Graphic organizers help students arrange their thinking and create a record of their reading. For example, a graphic organizer like this one about making predictions helps students focus their reading at the start of the novel, and helps them remember what they thought was important as the plot develops. 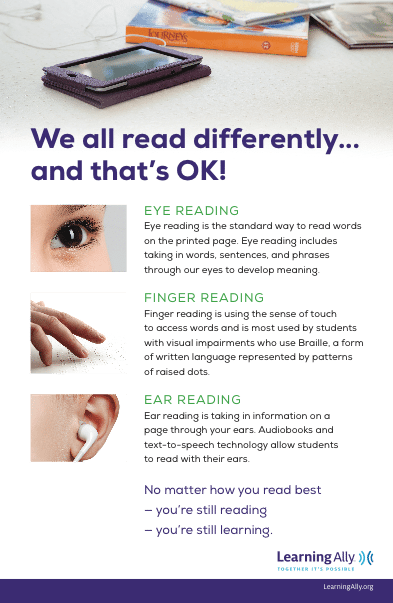 More from Learning Ally:For more information on how audiobooks help struggling readers, check out our infographic, Why Audiobooks Work!